Become a VIP and save! Best Of All – It’s FREE! What does it mean to be one of our VIP’s? It means you will periodically receive exclusive special offers and coupons that can be used at participating locations for delicious discounts on even more delicious food. 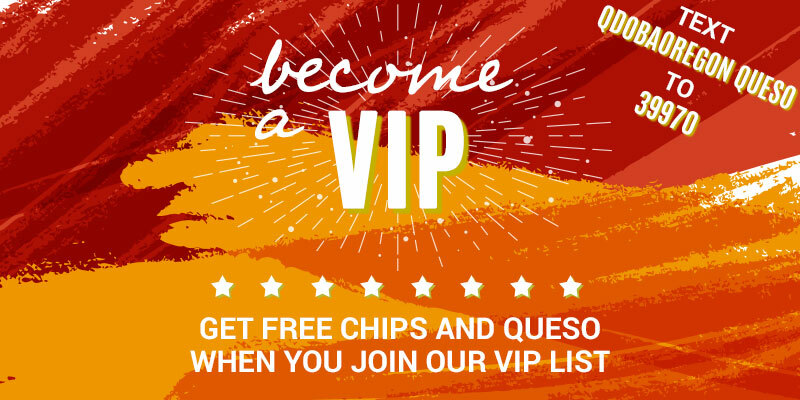 We’ll give you a free side of chips and queso just for registering as a VIP. We will not spam your phone with the useless nonsense you care nothing about – Just the occasional exclusive deal and maybe some news about new items that are about to be added to our menu. Step 4: Keep an eye on your text message inbox for even better rewards!